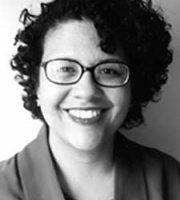 Elizabeth Alexander is an afro-american poet, writer and playwright. She published her first volume of poetry in 1996, "Body of Life" and a verse play, "Diva Studies", which was staged at Yale University. She also became a founding faculty member of the Cave Canem workshop which helps develop African-American poets. Alexander's poems, short stories and critical writings have been widely published in such journals and periodicals such as: The Paris Review, American Poetry Review, The Kenyon Review, The Village Voice, The Women's Review of Books, and The Washington Post. Her 2005 volume of poetry, "American Sublime" was one of three finalists for the Pulitzer Prize of that year. Alexander is also a scholar of African-American literature and culture and recently published a collection of essays entitled The Black Interior. Alexander received the Anisfield-Wolf Book Award Lifetime Achievement Award in Poetry in 2010.